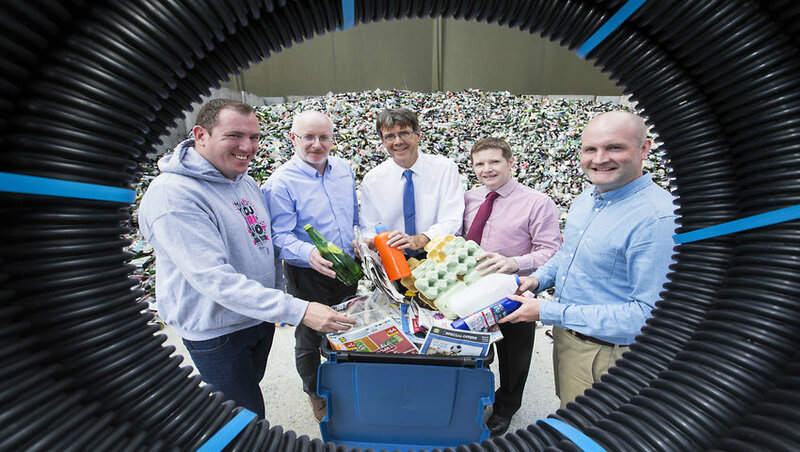 The local charity, MACS NI who support children and young people across Northern Ireland, is collaborating with social enterprise, Bryson Recycling as part of their Recycling Rewards Campaign. The yearlong initiative involves over 170,000 households across Northern Ireland and three partner businesses, Cherry Pipes in Dungannon, Encirc in Fermanagh and Huhtamaki in Lurgan. As part of the initiative, households are encouraged to recycle as much as they can as for every tonne of glass, paper and plastic collected through Bryson Recycling’s kerbside boxes, £1 will be donated to MACS NI. The aim of the campaign is to increase recycling levels and promote local recycling which is better for the environment, creates local jobs and supports the economy. Established in 1990, MACS NI provide a wide range of much needed services for children and young people between the ages of 11 and 25 who have experienced difficult times in their lives. Their core services include supported housing, floating support and wellbeing support with a focus on housing, homelessness and mental health. This year, MACS NI has supported 1008 young people with a range of support services, including both supported and community accommodation, mentoring and bespoke schools programmes. “We are pleased to launch another Recycling Rewards campaign, partnering with such a worthwhile charity. Through this initiative, we hope to raise awareness of the importance of recycling and its positive contribution to the communities we live and work. Encouraging recycling in households across NI will inspire children and young people in the same household to carry on the ethos when they move on. “Bryson currently deliver their kerbside box service to 25% of households in Northern Ireland and we recognise the importance of ensuring a quality supply of materials are supplied to local companies for them to make end products locally. We are proud to partner with MACS NI, who provide vital services to our children and young people, ensuring they have a bright future”. 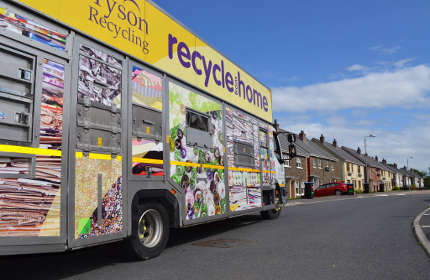 Bryson Recycling sends the paper, plastic and glass they collect in kerbside boxes on a weekly basis to the three campaign partners, Cherry Pipes, Encirc and Huhtamaki, who use them to make new products for well-known brands such as McDonalds, Bushmills and Baileys. Cherry Pipes transform plastics into pipes for the agricultural, civil engineering and construction industries at their sites in Crumlin, Lurgan and Dungannon. Glass is sent to Encirc in Derrylin, which is turned into bottles for food and drinks companies. Huhtamaki in Lurgan is the world leader in environmentally friendly moulded fibre packaging, using 100% recycled raw materials located on the island of Ireland and they are the sustainable choice for high quality egg packaging and cup carriers. “There are children and young people across NI who are struggling; they are going through a tough time, experiencing homelessness, substance abuse, self-harm, mental health issues, leaving care or are generally at risk. The main causes of youth homelessness include the breakdown of the family home, issues with rental agreements or violence within a relationship. “In total, 4,643 households presented as homeless to the Northern Ireland Housing Executive during July - September 2017 and 21% was due to Sharing breakdown / Family dispute. Our main role is to help them through this period so that they can move on and achieve their goals. “We are pleased to be the Recycling Rewards chosen charity for this year and the money raised will make a real difference to the work we do for our young people. Recycling is easy to do, it is so important to educate people on the impact it has on our local communities and the environment. 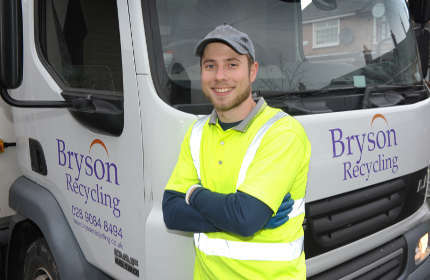 We look forward to working with Bryson Recycling over the next year to spread the word and raise much needed funds for our work”. 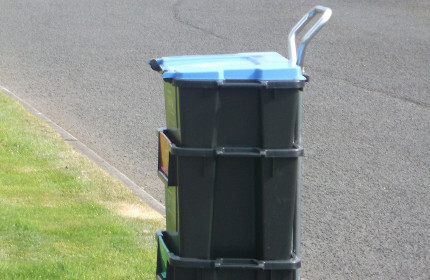 Weekly household collections are carried out a cross five council areas; Antrim & Newtownabbey, Armagh, Banbridge & Craigavon, Belfast, Lisburn and Castlereagh and Mid & East Antrim.